This former grand home is now more than ever in need of care. In the Victorian period this area along the Penn Road was were the wealthy people of the town built their grand houses, and today very few now survive in their original design. 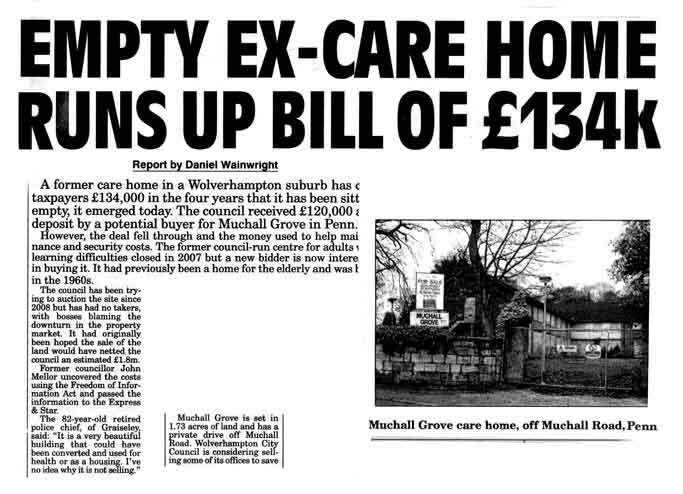 Muchall Grove is one of the many now existing only as care homes. and even in this guise it has an uncertain future as this article in the Express and Star states. 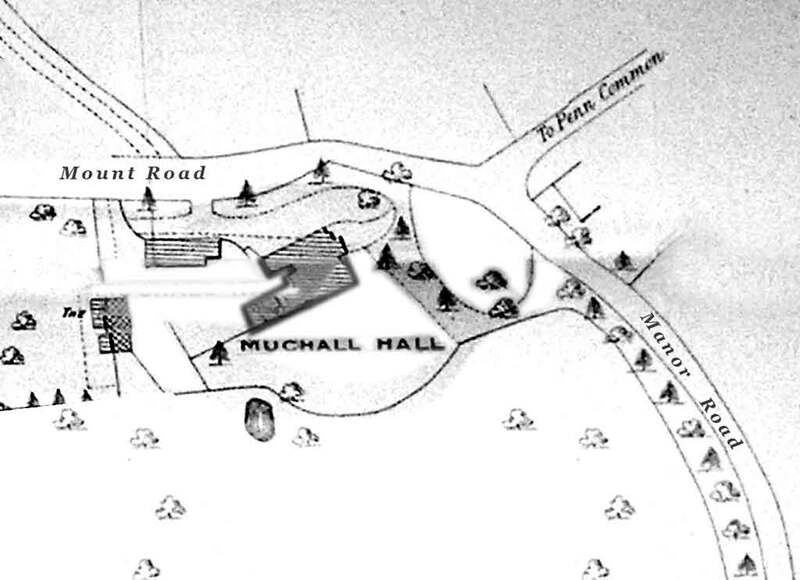 Muchall, means Great Hall, and was one of the outlying hamlets of the Village of Penn. It is spelled in various ways in the Parish register: Migehall, Mushall, Muchale, Mycholl and Mitchell. 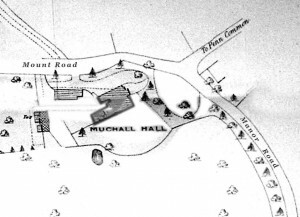 Muchall Hall stood at the corner of Mount Road (at one time called Cuckoo Lane) and Manor Road. 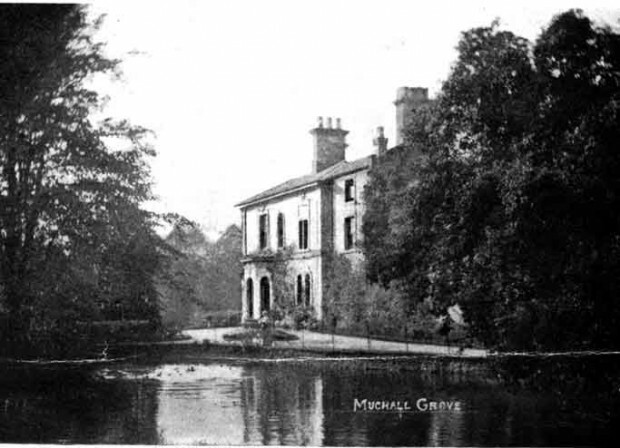 It was bought in 1815 by William Thacker, a solicitor.When he died in 1854 the estate was sold in 30 lots. Lots 5-15 lay on the south eastern side of the Penn Road. 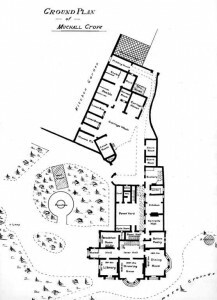 On part of this land Charles Clark was to build Muchall Grove about 1860. The roadway through the land became Muchall Road. 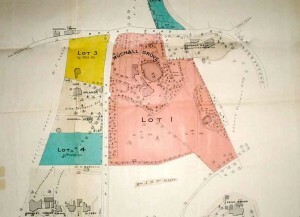 On the opposite side of the Penn Road lots 16-30 became the land on which Wynn Road was to be built. From a diary found in a deed box in Penn Church was a notice dated; January 29th, 1863. 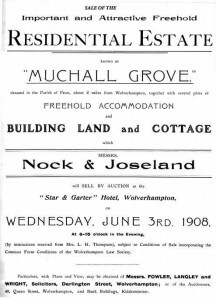 This morning Mr Charles Clark of Muchall Grove J.P. and alderman of Wolverhampton put a period to his existence in a fit of temporary insanity; to the great grief of his family and sincere regret of his friends . As a sincere well wisher to the Working Classes his loss will be greatly felt in the district. 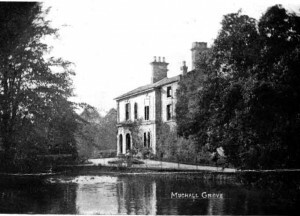 Later Randle S Warner and Richard Warner had votes for Muchall in 1868, at the latter end of the nineteenth century Mr A. E. Thompson lived there. On the death of Mr Thompson. 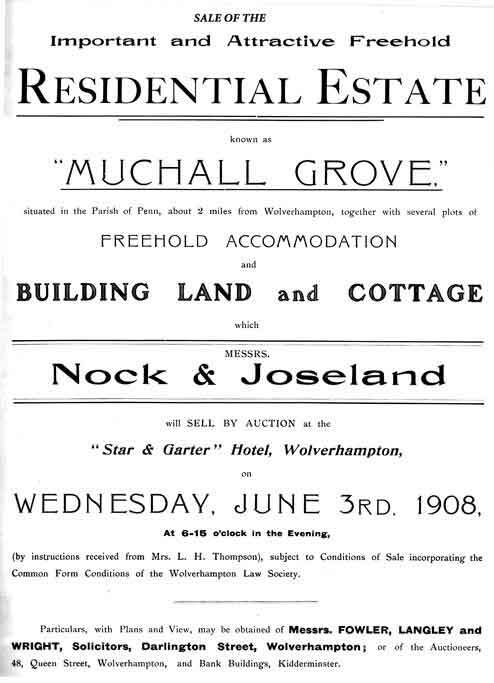 To give us some idea of the large extent of this property we have the sale details provided by auctioneers Nock & Joseland and printed by John Steen of the Old Grammar School Works St John’s Street Wolverhampton, for his widow Mrs L.H. Thompson. 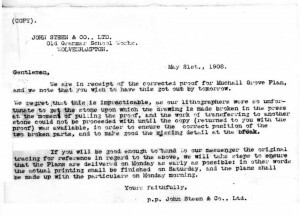 The sale is to take place at The Star & Garter Hotel, Wolverhampton. 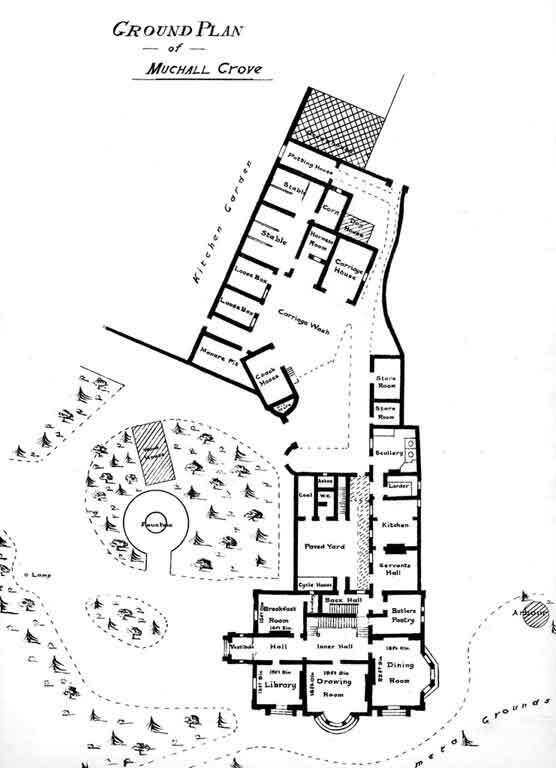 As you can see Together with other large plots of land. 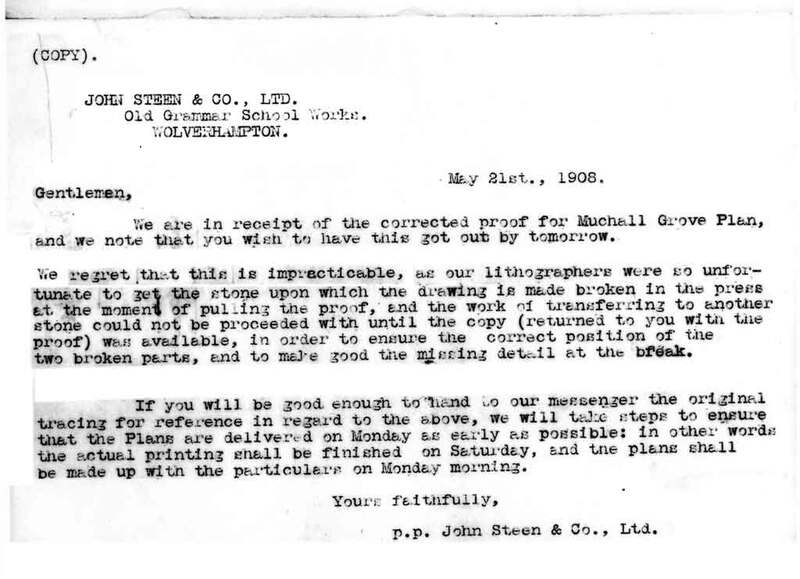 A slight hiccup occured at the printers a fortnight before the sale. 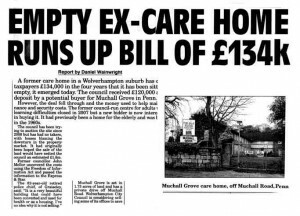 After the war as we said before a lot of these larger Houses were sold off and in the case of Muchall Grove to the Town Planners this story continues.